Like some other Sans, this species has both juvenile and adult forms. 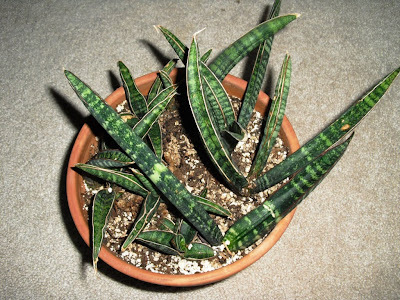 Juvenile plants have short, grooved leaves grouped in rosettes. The leaves in the adult form are taller, more cylindrical (not to be confused with S. cylindrica) and look like more like single leaves, rather than part of a rosette. In my pictures, the leaves on the left are still clearly in juvenile form, while the leaves on the right are starting to look more mature, though they aren't there yet. What an attractive form. I have three sansevierias, but they're all pretty mainstream. I need to find plant stores that sell these other varieties! Quite nice, even though it's been forgotten. Thanks for sharing! 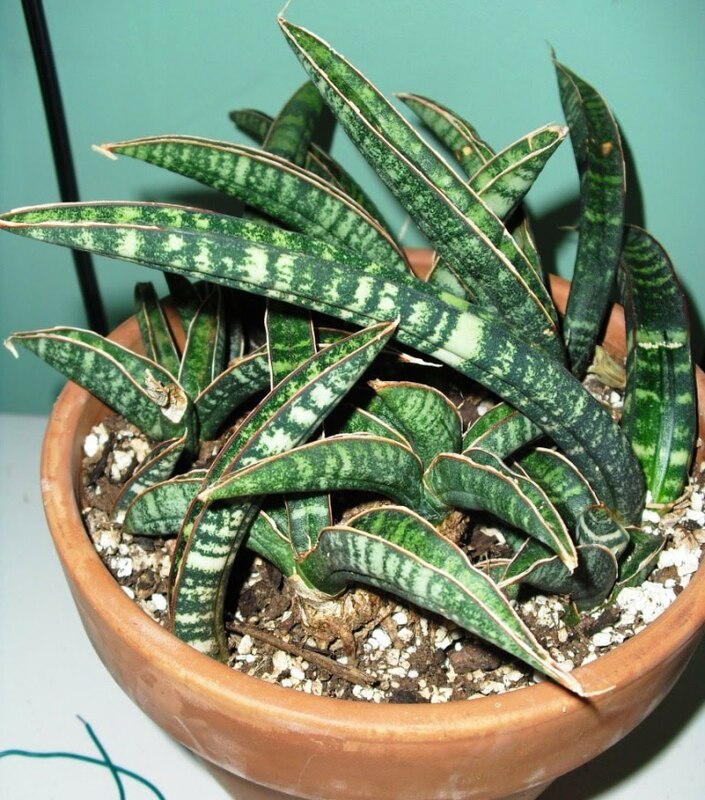 This Sansevieria fischeri is really beautiful! Who'da thunk it??? I only have some old ratty wild long tall things out in my neighbors yard that have spread over to my side under a huge cherry tree/bush...and they just live there, but not beautifully...quite shabbily! This variety is just great with how it arches, and the coloring is very attractive...looks good in a pot.